Is there a better alternative to Calair? Is Calair really the best app in Productivity category? Will Calair work good on macOS 10.13.4? 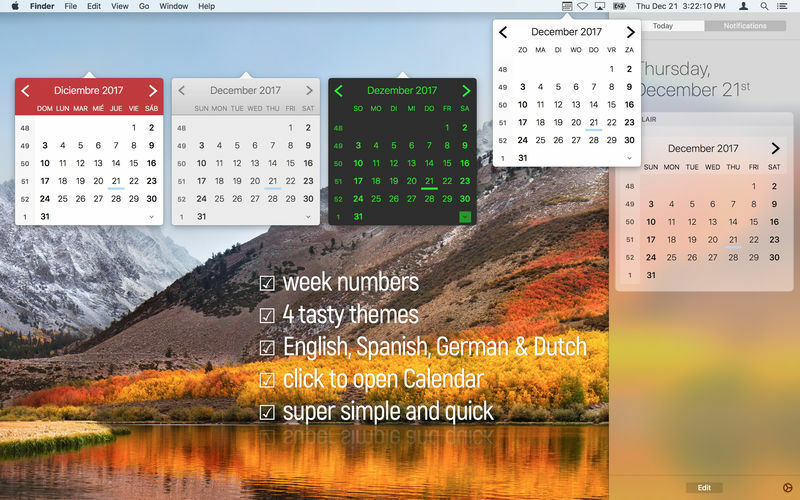 Calair is a lightweight popup calendar that is easily accessible without filling the entire display. Privacy by design--absolutely nothing is stored or shared with 3rd parties. Dates for previous and following month are also visible. Calair needs a rating. Be the first to rate this app and get the discussion started!